1 bhk Room availabe as paying guest in Edapally. Room is available for 2 people. Mariyas Residency Paying Guest Accommodation for Working Women & Students. 3,4,5,6 & 7 sharing. Rent starting from 4600/- to 5600/- according to sharing. Providin..
Grace Ladies Paying Guest Acoommodation for Working Women's and Students. 2,3 & 4 Sharing rent 3800/- , 3500/- Accordingly. Providing Veg and Non - Veg daily..
5000 (Negotiable) 31.25 per Sq. Ft.
160 sq ft Room Space for Rent in Ernakulam North .Amar Gents Hostel Paying Guest Accommodation for working men and students. Single , 2 ,3 ,4 & 6 sharing, Rent Rs..
160 sq ft Room Space for Rent near ESI Hospital .Amar Gents Hostel Paying Guest Accommodation for working men and students. Single , 2 ,3 ,4 & 6 sharing, Rent Rs. ..
Good Day Gents Paying Guest for Working Men and Students. 2 & 4 sharing with daily Non-Veg Food Available. Located in Chakalakal, Perumanoor, Ernakulam. AM Gents Paying Guest Accommodation for Working Men's and Students. Sharing 2,3 , 4 & dormitory. Providing 3 times food daily Non- Veg. Free Wi-Fi, Seperate..
750 Sq.Ft. 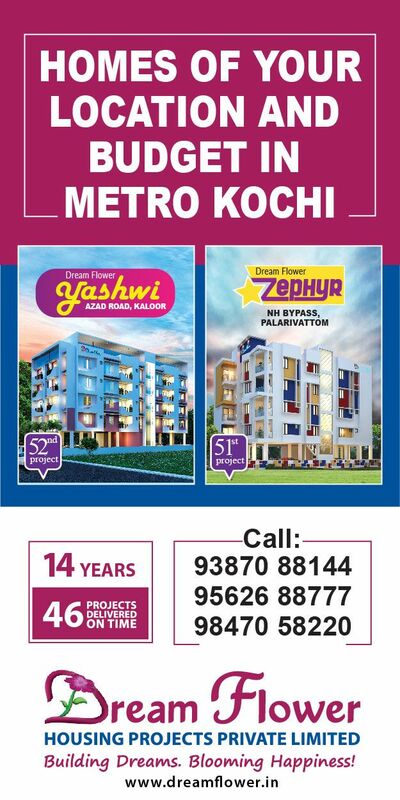 Room for Rent in Kaloor . family or females can give one bedroom with food family means home stay. 5000 for per head . Jyothis Ladies Paying Guest Accommodation for working Women & Students. Sharing 3 & 4 and study room facility available for students. Providing Veg & Non - Veg F..